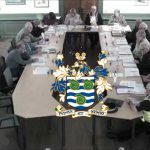 an “In My View” article by NIGEL WARD, reporting on the first challenge to the extraordinary and secretive conduct of the Human Resources Committee and the Finance, Policy & General Purposes Committee of Whitby Town (Parish) Council in response to a Grievance lodged by the Town Clerk. The plot congeals. 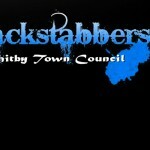 The Mischief Night meeting of Whitby Town (Parish) Council always promised to produce fireworks – but delivered only duds. Readers who are already aware of all that may safely skip this section and go straight to the next sub-heading ‘Return of Service’. Briefly, the Town Clerk had accused all but one of the members of the Finance, Policy & General Purposes Committee (FP&GP) of breaching Council confidentiality, following a meeting in June 2014, in such a way as to place her in personal danger by disclosing, possibly to unscrupulous data thieves, that she had repeatedly removed digital back-up data from the Council Office, without authorisation from the Council. Unfortunately for the Clerk, concerns regarding her exceeding her authority with her extramural data-transporting activities were reported to me by four Councillors NOT in late June, as the Clerk alleges, but in the autumn of 2013, following discussions of the matter in an open meeting where no duty of confidentiality prevailed. In November 2013, the fact that a number of people were openly discussing the security implications of the Clerk’s unauthorised actions came up in a conversation between myself and Derek ROBINSON – who, at that time, was not a member of the Council – though, like the members, he was certainly under no duty of confidentiality. And like me, he thought that Councillors needed to be more assertive in their direction of the Clerk. 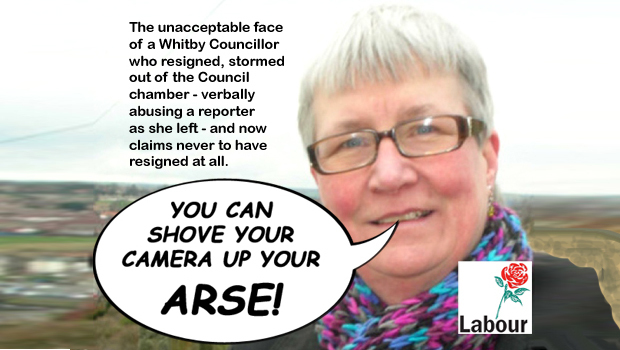 At the August 2014 FP&GP Committee meeting, the Clerk announced that she had lodged a formal Grievance, as well as seven SBC Standards Complaints and a complaint to the North Yorkshire Police against the Councillors named above – including Councillor Derek ROBINSON. 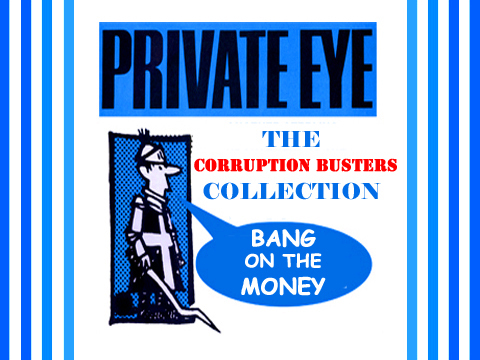 Astonishingly, the Human Resources Committee (HR) UPHELD the Clerk’s Grievance, thereby pronouncing the seven members of the FP&GP Committee (Derek included) ‘guilty’ of breaching Council confidentiality – and with it, their statutory duty of care to the Clerk. Even more astonishingly, two of the HR members – Councillors John FREEMAN and Terry JENNISON – have actually pronounced themselves ‘guilty’ – even though neither of them were amongst the four Councillors who described the Clerk’s unauthorised conduct to me back in 2013. 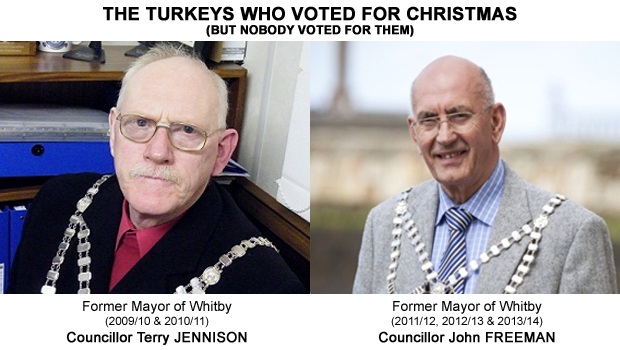 These are “the turkeys who voted for Christmas”. At the request of Councillor Derek ROBINSON (who is out of the country at present), I attended last night’s meeting of Full Council to take advantage of the opportunity afforded by the Public Participation session to read out a letter from him to all Councillors. 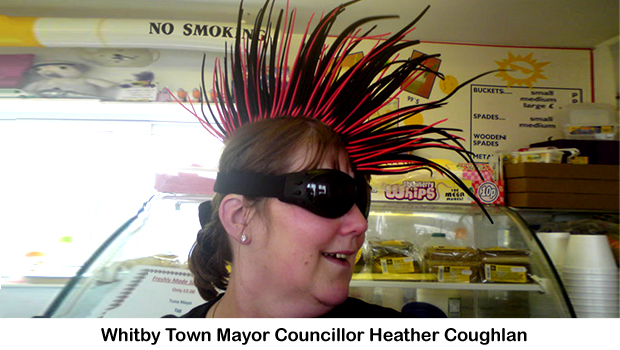 The Mayor is Councillor Heather COUGHLAN. (It was her turn). It was Councillors John FREEMAN and Terry JENNISON (both former Mayors) who, in their positions as members of the Human Resources Committee (HR), pronounced themselves ‘guilty’ (being also members of the Finance, Policy & General Purposes Committee) of the charges brought against them by the Clerk, when they most definitely are not. These are the turkeys who voted for Christmas. Councillor Dennis COLLINS is merely caught in a cross-fire that, for the most part, has been passing unnoticed over his head. Lisa DIXON is the Director of Legal & Democratic Services and Monitoring Officer at Scarborough Borough Council, who famously (but unsuccessfully) tried to close us down – then lied to the BBC about having done so. Interestingly, in addition to Councillor Derek ROBINSON, Councillors Simon PARKES, Ian HAVELOCK, Mike MURPHY and Amanda SMITH were not present at last night’s meeting. Who could blame them? You will be asked to accept the minutes of the HR committee meeting held on the 25th of September. these are in fact not correct, I did not at any time request a dispensation. I stated at the start of the meeting that I was declaring an interest and would be leaving the meeting prior to Agenda item 9. I tried to broach this matter at the last full council meeting but was informed by the clerk that I was not able to, I had to do it at the next HR meeting (which I had already informed the council I would be unable to attend). I also informed the deputy clerk of the mistake. The second point concerns the meeting of the HR committee held on the 10th October which I was unable to attend and had given prior notice of this fact. I find it incredible that the HR Committee has upheld a grievance complaint without any evidence being presented or giving the accused the opportunity to defend themselves, or in fact even establishing the fact that any offence was actually committed – it has effectively found itself guilty of a non-offence and has accepted liability without question. I interrupt Derek’s letter here because, at this point, I was myself interrupted – by the Mayor. I had been aware (since the second paragraph of Item 1) that the Clerk was remonstrating soto voce with the Mayor from the point where it became clear that the letter would address the Grievance issue – and, inevitably, contradict the Clerk’s version of events. Once the Mayor had been adequately primed, she interrupted me to explain that the Clerk and her Grievance could not legally be discussed, to which I responded that I was not calling upon the Council to discuss the Grievance or, indeed, anything else – I was merely transmitting a message from a Councillor. The Clerk was swift to intervene, and she and the Mayor cited reason upon reason why I was not allowed to read out the rest of the letter, even after I explained that the concluding two paragraphs made no further reference to the Clerk, merely offering Councillor Derek ROBINSON’s version of events. They remained adamant. Nevertheless, since the Clerk was obviously distressed, I ceased reading out the letter. The Mayor generously permitted me to deliver a hardcopy of the letter to each of the Councillors. The Clerk enquired if there was a copy for her. Looking through my pile of envelopes, I saw that there was not. 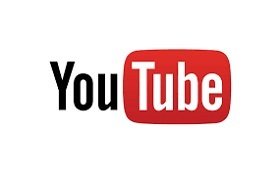 The Clerk protested that she was being illegally discriminated against. She was not visibly mollified when I gave her my own copy. 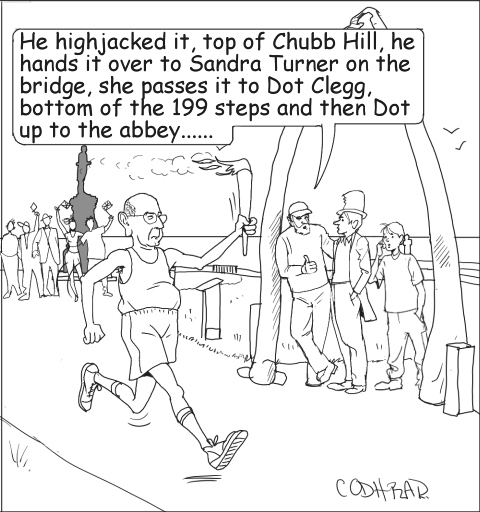 I also passed a copy to the Whitby Gazette reporter, Emma SPENCER. With that, the Public Participation session was concluded and Standing Orders were re-instated. Neither the Mayor nor the Clerk appear to have recognised that, during the period in which Public Participation was in progress, Standing Orders were (of course) suspended – thus placing my reading of Councillor Derek ROBINSON’s letter outside of the Council’s protocols and procedures. But never mind. The important point to note is that there was no way that Councillor Derek ROBINSON’s side of the story was going to be permitted reach the public. 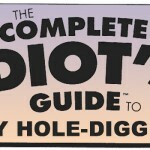 But neither the Clerk nor the Mayor would appear to have grasped the futility of metaphorically clamping a lid on the remaining content of Councillor Derek ROBINSON’s letter – futile, because even a halfwit might have foreseen that I would publish the entirety of Councillor Derek ROBINSON’s letter here, in the public interest. 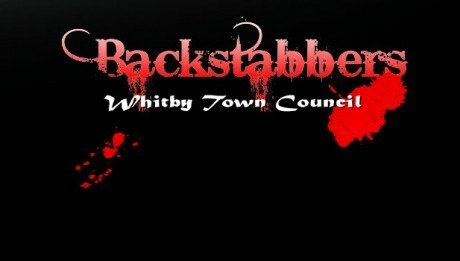 In view of my circumstances and the evidence available from current councillors, the author of the article responsible for the allegation, and my own personal knowledge, that in fact I was not even a member of Whitby Town Council at the time the information was given to the author. I feel that I have been the victim of a miscarriage of basic justice and will seek to clear my name, as a result of the decision of the HR committee I intend to pursue a standards complaint against the Mayor and Councillors Wilson, Freeman, Collins, and Jennison. I have raised the issue with Lisa Dixon at Scarborough Borough Council. Lisa Dixon. Monitoring Officer. S.B.C. 4) without even identifying the accused – or allowing them a voice – they are ‘guilty’ whoever they are, with no opportunity even to deny the offence which is not an offence. The Human Resouces Committee has performed no investigation worthy of the name and has found in favour of the Clerk without regard to the consequences – and apparently wishes to keep all knowledge of its utter incompetence from the public. 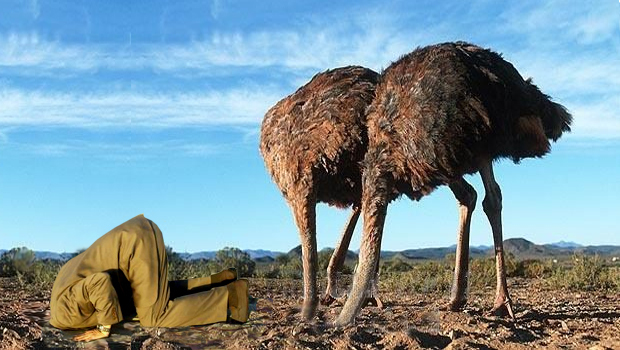 I told you their would be ostriches. 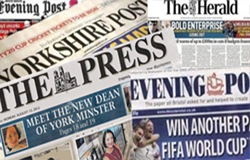 Quite aside from the fact that Councillor Derek ROBINSON has comprehensively vindicated every element of the concerns that I have been reporting throughout five recent articles, I hope readers will recognise the fact that our £¼-million-per-year Council – or rather a small group of extraordinarily obtuse public servants amongst them – has completely misjudged almost every facet of this extraordinary affair. This has been allowed to happen principally because the Clerk has maintained Minutes so sketchy that, once the immediacy of the moment has been supplanted by on-going events, it is virtually impossible to discern what actually transpired at meetings – who said what? – when? – to whom? – and with what effect? Of course, had the Council fulfilled its own Resolutions to film and archive meetings, none of this need ever have arisen. 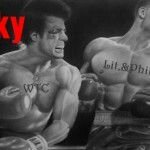 Who said ‘what’, ‘when’, ‘to whom’, and ‘with what effect’ could have been examined in minute detail – and it would have been obvious that the Clerk’s Grievance was entirely unfounded. So . . . oblivious to the final paragraphs of Councillor Derek ROBINSON letter, his fellow Councillors never learned that Standards Complaints have been instigated against several of them (no doubt with the result that a formal Hearing will take place, probably at Sneaton Castle) and the Recommendation of the HR Committee to UPHOLD the Clerk’s Grievance was duly Received by Council – and a nonsense of a very high order has been allowed to enter the public record. Wisely, Councillor Derek ROBINSON has taken the precaution of informing the SBC Monitoring Officer that this was likely to happen. Wisely, I recorded the meeting. The turkeys and the ostriches have rushed, lemming-like, over the cliff – and there can be no denying it. As I left the chamber, I enjoyed a short exchange with the Clerk in the lobby. The Clerk had, quite correctly, declared an interest and absented herself for the final Agenda Item, as did Councillor Steve SMITH – though Councillors John FREEMAN and Terry JENNISON, who should also have done so, along with the other members of the Finance, Policy & General Purposes Committee who formed the defendants in the Clerk’s Grievance, and therefore also held disclosable interests – no less so than Councillor Steve SMITH (though perhaps without grasping the fact) – which they failed to declare. The Clerk asked me to speculate on why the four Councillors who discussed the data security with me in autumn 2013 had not raised the matter through official channels. 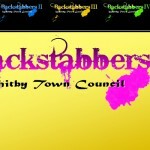 I replied that there was no doubt a larger context – by which I was politely intimating that it was possible that the four Councillors concerned may have had no confidence in the Council’s ability to address the issue. Subsequent events have done nothing but confirm that view. 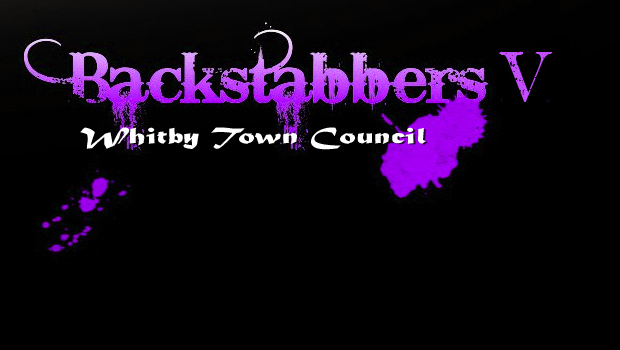 I suspect that the next chapter of “Backstabbers” will reveal that the Clerk has raised another Grievance, against some or all Councillors, for permitting her first Grievance to be aired in public. Compounding all that is the news that Councillor Mike MURPHY, formerly a Chair of the FP&GP Committee, has also written to all Councillors (and the Clerk) expressing grave dissatisfaction with the Minutes of a meeting at which representatives of York Potash Limited (YPL) were squarely nailed down by Councillors Mike MURHPY and Ian HAVELOCK – though according to Councillor Mike MURPHY, this exposure of some very misleading information from YPL has not been reflected in the public record. One would have expected that the Clerk would have ensured that an item of information so pertinent to the wider public in the Whitby area, who, having placed great hopes in the “up to 5,000 potash jobs” much trumpeted by the likes of Robert GOODWILL MP (Scarborough News 20th April 2011), might wish to know that the wild promises have boiled down to YPL delivering “just 31 permanent jobs for Whitby”, might be just about be worthy of inclusion in the public record – perhaps even worth a heads-up to Whitby Gazette and Scarborough News editor Ed ASQUITH. The traffic ramifications are almost equally disturbing – and certainly stand to affect more than just the workers, shareholders and mineral rights holders. 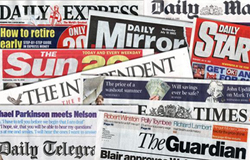 How could such important public interest information be omitted from the public record? 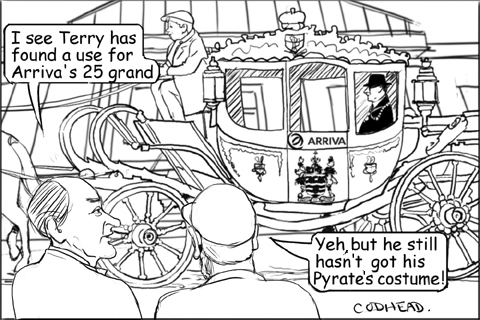 Be that as it may, readers may take my word for it that, with the exception of a handful of bright, experienced and committed Councillors, Whitby Town (Parish) Council and its 2.5 Clerks are good for virtually nothing at all – albeit £¼-million-per-year’s worth of nothing at all. But six of the best of them, complemented by a secure and confident Clerk, could serve the town really well – and for less than half the price. Ah, how the mediocre cling to imagined power. 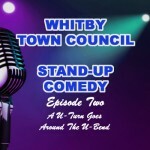 The people of Whitby are represented on Scarborough Borough Council by just six Councillors serving three wards (five Conservatives and one Labour – Tina DAVY – who has successfully, for the most part, managed to avoid setting foot in Whitby at all and will almost certainly not stand here again). 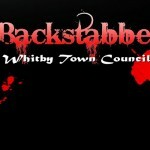 Yet the people of Whitby are served, if I may use the word loosely, by nineteen Town (Parish) Councillors (only 17 at present), spread over a total of six wards, which coincide geographically with the three SBC divisions. 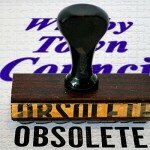 The obvious solution (if it is worth retaining a Parish Council at all) would be to adopt the Borough Council’s ward and Councillor allocation – so that WTC comprised only six Councillors (two each for Mayfield, West Cliff and Streonshalh wards) – but this falls foul of current legislation, in that representation of the electorate at Parish level is assigned to (roughly) one Councillor for every six hundred electors. That legislation is over forty years old and perhaps an Amendment is overdue. But any major reform of local government is more likely to redefine Parish structure entirely – if the trend indicated by the Localism Act of 2011 is anything to go by – with a return to something more akin to the old Urban and Rural District Council system. The sad truth is that within any given group of around six hundred electors, it seems to be impossible to nominate (and elect) a Councillor worth electing. That is not to say that there are no potential candidates amongst any given six hundred electors who possess the compassion, integrity, talent and intellect to make a real contribution; only that most are otherwise engaged – building up a business, raising a family, getting by – and cannot make the level of commitment that being a good Councillor demands. But there are simply too few worthy candidates – with the consequence that we have a Council that is only partially elected (and partially co-opted) and is forever blighted with vacant seats. From now until the May 2015 elections, it’s open season on turkeys.